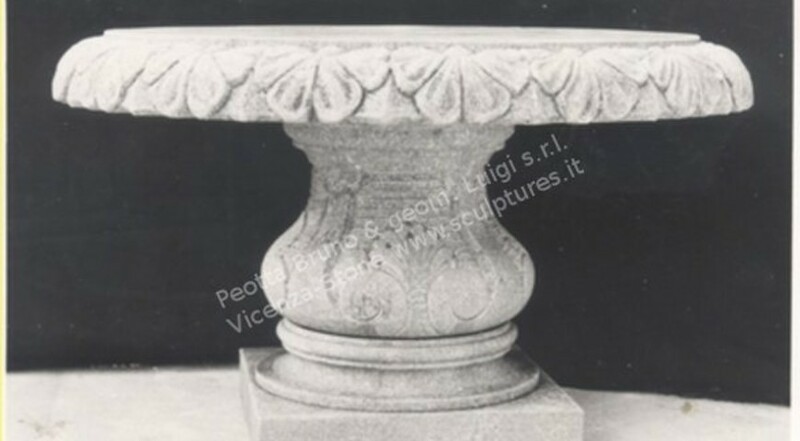 A round stone carved table with top Four leaved clover decoartions. Round base with shells decorations and a square plint at the base. 19th Century origin. Dimensions: Height 24" x Diameter max 39 1/2"